Finally decorated these babies last week! It's been on my list for awhile. You might've seen when I decorated this gold glitter journal, but I just covered my little planner and bigger notebook. The local campus store had a deal with some super cute paper for cheap and I hopped right on that boat and got some. So, it's been making my week better that I now have a cute little planner to tote around and a snazzy journal to write in when I get home. 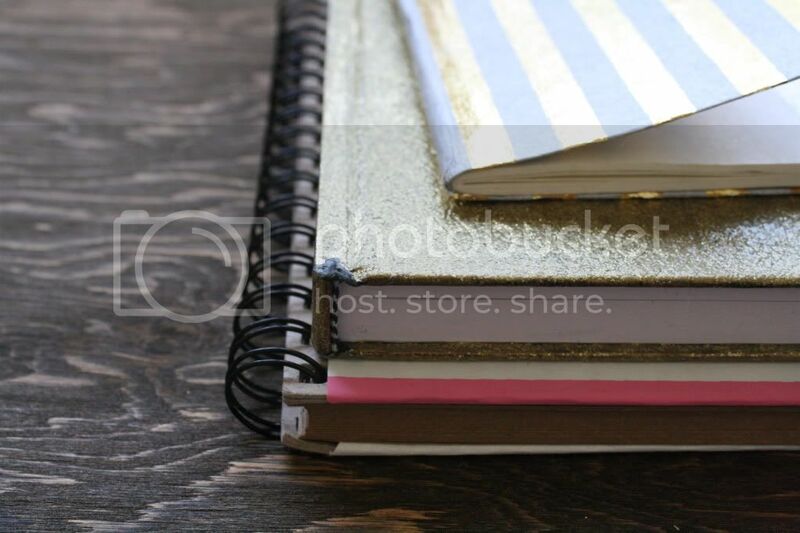 Plus, I love how my little striped journal and gold one match, because they're the two I carry around the most.